Qizhen year 20th, Beiliang country, Jinjiang city. It was a fine day in January when the fickle weather turned the once clear sky into a thundering rainstorm. Flashes of lightning occasionally lit the sky as deep rolls of thunder echoed through the air. A layer of silver water was quick to form over the slippery, narrow road. Ji Yunshu held the umbrella in one hand while carrying a delicately crafted sandalwood box in the other. Armed with her box and umbrella, she walked the whole way from the Ji family home to Zhou Mansion’s entrance. On the first month of the Lunar Year, every house was filled with joy. However, at Zhou Mansion, only white satin and several white lanterns hung in front of the entrance. It had just happened yesterday. The Zhou family’s young miss had gotten into an accident and died! Ji Yunshu readjusted her umbrella and brushed the rainwater off her shoulder before carefully examining the sandalwood box she held under her arm. This box was her precious tool, the one thing she had to make a living. She absolutely couldn’t let it get even slightly wet! If it wasn’t for the county magistrate requesting her services, she really didn’t want to go. To have to work at the beginning of the year was a really unlucky sign. The mansion’s pageboy ran towards her, anxiously calling her. He skidded to a halt in front of her, holding his sides as he panted. It didn’t come as a surprise that he called her “Teacher” instead of “Miss”. After all, she was dressed like a man in very simple yet elegant clothes. Ji Yunshu nodded. She followed the pageboy to the mourning hall situated in the rear court. All the servants in the mansion were kneeling on the ground with their heads lowered. Everyone was crying and wiping their tears. Inside the mourning hall, Lord Zhou wore a purple and black satin robe, his hair rolled in a high topknot. His expression was grave, which was only accentuated by his lips, pressed together until they were as thin as a thread. His bloodshot eyes were marked with signs of tiredness. Next to him, Madame Zhou was crying fitfully. She was in so much pain and grief that death seemed like it would be deliverance to her. Yesterday, when she learned of her daughter’s sudden death, she had fainted right on the scene. Even now, she still hadn’t gotten over the shock and appeared to be supported by a few servant girls, so that she wouldn’t fall on the floor again. In her former days, Ji Yunshu was used to seeing this kind of scene when she did her job. Lord Zhou noticed Ji Yunshu’s arrival. He glanced over at his madame and signalled her to retreat to the side. Ji Yunshu responded. Then, she put down the sandalwood box and opened the lid. Inside the box were many handcrafted and elaborate painting tools. The box had three layers. The first layer contained seven to eight small brushes with silver ridges engraved with a luan bird  and clouds. The second layer was shaped to have numerous indented slots that served to mix paint with water. The last and third layer of the box contained 48 different paint colours in various basic spectrums. The box itself was a piece of art, but the inside was fully-equipped for the needs of the task. Several maidservants kept glancing curiously inside the box. They had never seen this kind of painting supply before. A pageboy came back with a silk brocade which he spread out on the table, so Ji Yunshu could draw next to the coffin. Within the coffin, one could see the Zhou Family’s young miss’ face festering from the numerous places where her flesh had split from the fall. Stark white bones protruded from her cheeks. Her eyes had popped out of their sockets, one pushed into her skull, while the other dangled just beneath its home. Her nose bridge was also completely fractured. Despite the horrific damage, the fall didn’t cause any damage to her lips or teeth. With that kind of appearance, who could look at her corpse without feeling nauseous? These descriptions matched the appearance of a person who had fallen from an elevated place. Ji Yunshu looked once more at the hair rolled in a bun and the corpse’s clothing. The Young Miss was dressed in a high-quality, beautifully embroidered pink outfit. They were neatly and tidily arranged around her frame. Gold and silver head ornaments were inserted into her black hair, forming a harmonious image. This Zhou family definitely deserved to be called a rich family. It’s no wonder that the county magistrate begged her to come over. After Ji Yunshu carefully observed the corpse. She turned to the table and took out several paints, then picked the third brush. She traced a few lines in black ink on the brocade silk. It didn’t take long for a shape to take form under her brush. After the basic outline was drawn, she slowly filled in the details, then coloured in the drawing. Afterwards, she reassessed her painting. The surrounding people grew silent, stupefied at the sight of the image she painted. There was a rumour about a great painting master from Jinjiang city that worked for the yamen [ref] A yamen is a governmental office in Ancient China. Click here for more information [/ref] as a yamen runner . That person was rumoured to specialize in recreating the portraits of dead people, regardless of how badly the corpse was mangled, burned or decomposed beyond recognition. It was said that he could draw a portrait from even a pile of bones. With a pair of skilful hands and a sandalwood box, that person could bring miracles to life. After an hour and 30 minutes, Ji Yunshu put away her brush and dusted some dirt from her sleeves. A yamen runner is the lowest position for menial labour/servant in a yamen. They are separates into different tasks and ranks. The colour of their uniform differs following their tasks. They are usually employed for various odd-jobs from sedan bearers, door guards, secretary to policemen and jailers. The common point is they work in a yamen. In other words, they are the government’s servants. Of course, since Ji Yunshu helps the county magistrate solved more cases and identified most of the unidentified corpses, she got special treatment and isn't considered as a normal yamen runner. 1. 1. 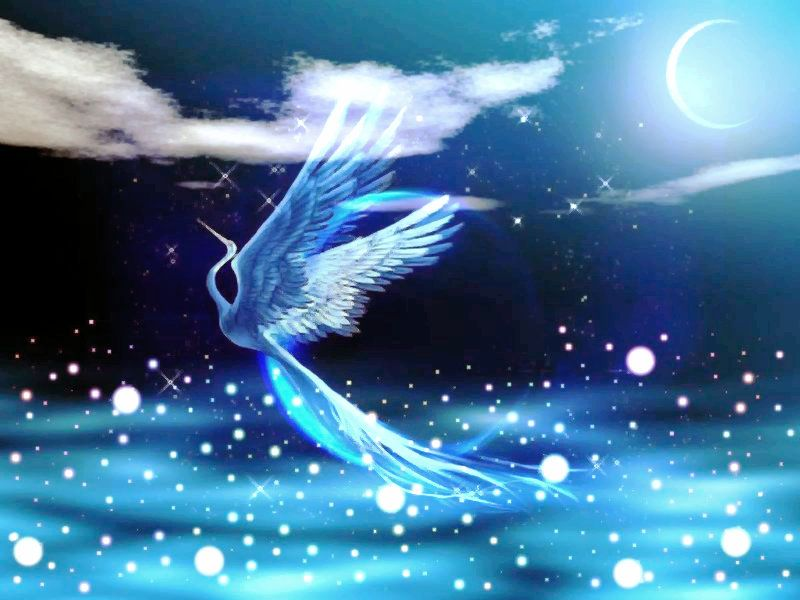 A Luan Bird is like a blue and male version of a phoenix. For more information click here; for the image, click here.